Born – as these things often are – of a specific need, the Lindarets Thru Axle Wheel Mount was made to securely hold thru axle front wheels in their workshop and while seeking out new rides in the Sprinter campervan. But it works every bit as well in retail spaces and demo trailers. 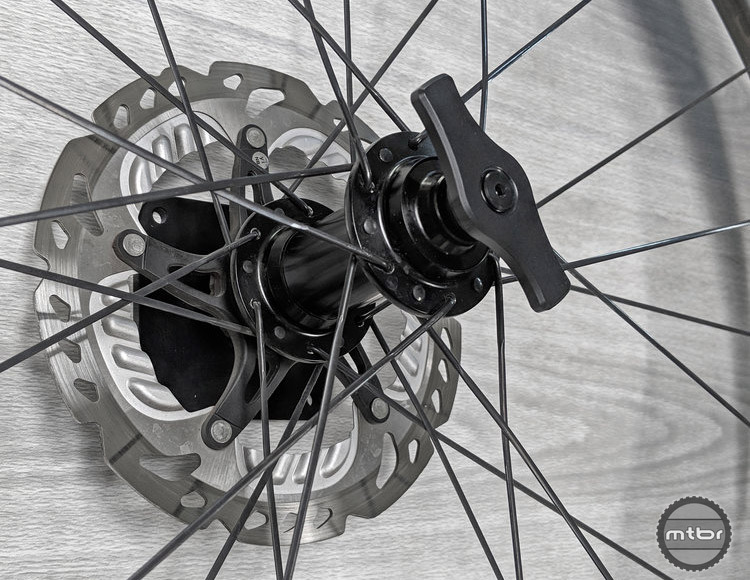 The new Wheel Mount is CNC machined from 6061 aluminum and features a stepped stub axle and wingnut that will accommodate 12x100mm (road standard), 15x100mm (mountain standard), and 15x110mm (boost) front hubs. 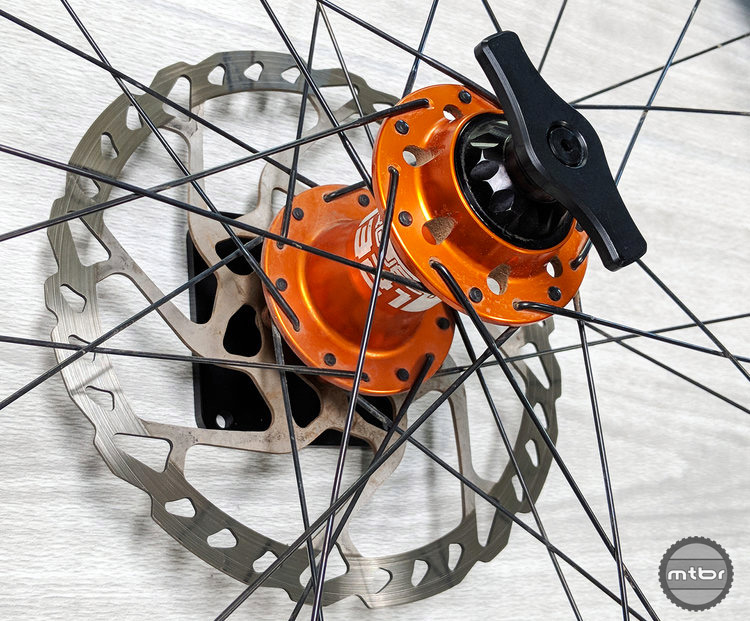 The axle is mounted at a slight angle to allow space-saving overlap with narrower tires yet keep even 27.5×3.0 knobbies from contacting the mounting surface. 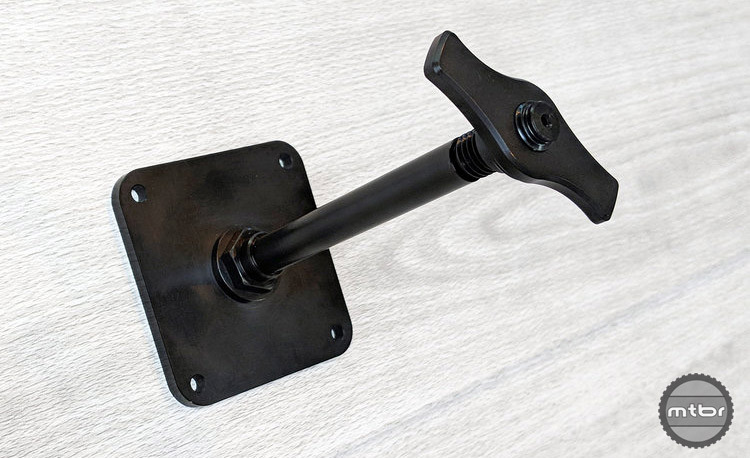 The three-inch, four-bolt square base plate can be mounted to walls or posts (you supply appropriate hardware) at any orientation that works for you. 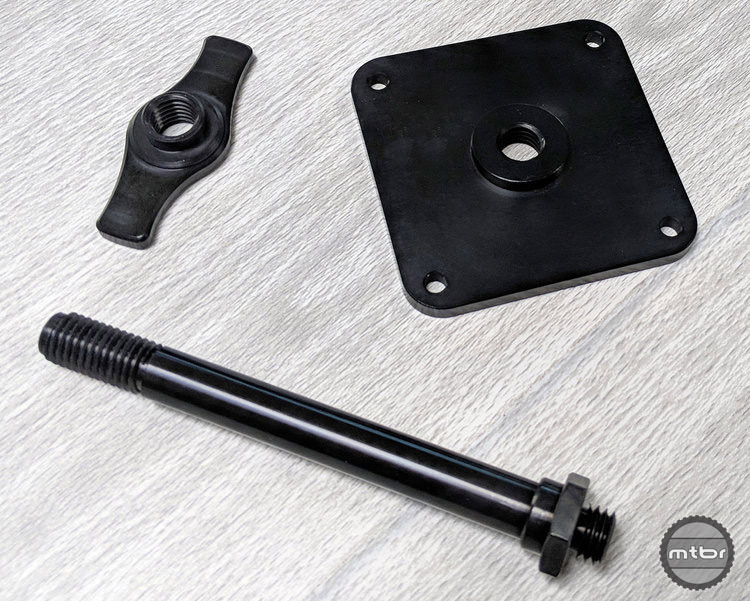 A limited quantity of Thru Axle Wheel Mount is available now for preorder now and will ship in early April. Price is $40. For more information visit www.lindarets.com. 136g? I’ll wait for the carbon version.